The statistics are in, and happily there were no deaths from heatstroke among U.S. football players during the 2002 season (or so far in 2003), according to the National Center for Catastrophic Sports Injuries at the University of North Carolina. 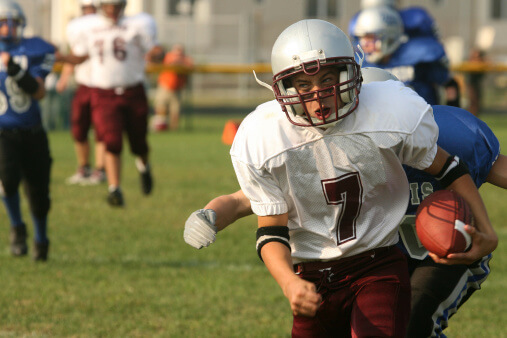 About 1.5 million children play full contact football each year in the U.S., and in most years a few are lost to preventable heat injuries. Children should have access to all the water they want during practice and games. They should drink cool water at least every 20 minutes throughout strenuous exercise, or a cool electrolyte drink if the exercise lasts longer than an hour. Kids also need time out of their helmets at least every 30 minutes to cool off. In 2002, five players died from football injuries. One was a semi-pro player, three were in high school, and one was in a youth league. All of the fatal injuries were head injuries. All players need to be taught never to make first contact with the head, whether blocking or tackling. In 2003, for the first time, a new generation of youth football helmets computer-designed to prevent head injuries is available for young players. I’m excited when children are involved in sports or physical activity, but we want to do all we can to make those activities both safe and fun.